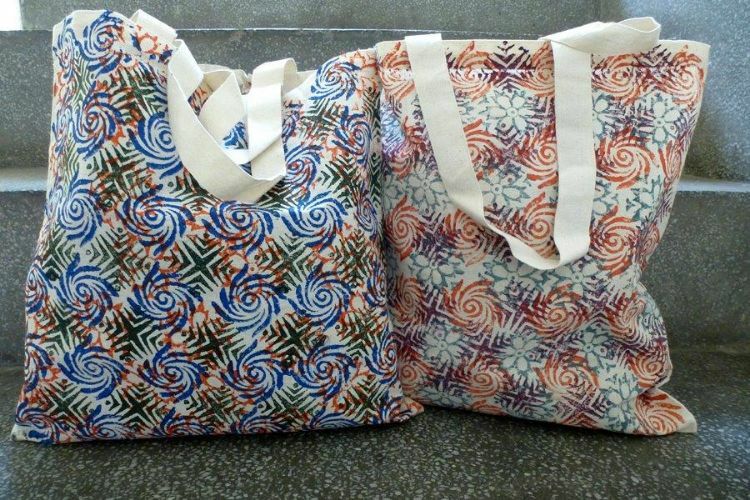 These hand block-printed cotton bags are a perfect alternative to plastic for shopping, swimming gear or just a bunch of books. The printing is done in Nav Prabhuthi Trust (NPT), Bangalore which a wonderful centre for young men and women with autism. Autism is a wide spectrum disorder so one of the young printers affected by autism may be obsessive about very careful placement of the blocks and another may need to place the blocks one on top of another. These designs reflect the abilities of the printers.